Finding fights in wormhole space works quite differently from finding fights in k-space. Due to the random nature of wormhole connections and mass restrictions, you don’t roam through w-space in the same way you roam through k-space. The result can be frustrating and boring for players unwilling to put in the work to find content themselves; however, players actually willing to look can usually find someone to shoot. W-space residents must first keep in mind that in w-space, it is rather unlikely that anybody will come to you looking for a fight. The EVE universe contains around 2500 wormhole systems, and depending on the class of wormhole you live in you can easily go a few days without seeing a K162. This means that if you want to find targets you have to get out of your POS and go find them yourself. At this point, many players tend to get bored with w-space; they aren’t used to actively searching for targets and they tend to sit around in the POS waiting for someone else to find something for them to do. The process of finding fights usually involves collapsing your current connection(s) to allow new ones to open, hopefully leading to some kills. While it generally only takes a handful of people to collapse the hole (depending on the size), the fleet typically stands by in PvP ships just in case things go south during the collapsing process. Once you have the new connection(s) open you do what could be considered the w-space equivalent of “roaming.” In k-space you roam with a scout leading the way toward a destination system, with the rest of the fleet a jump or two behind. 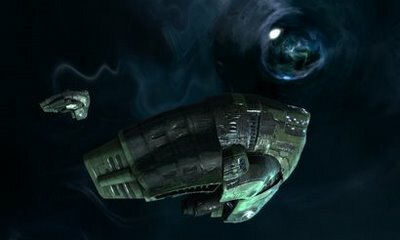 In w-space, one or more scouts enter the system and use probes and the directional scanner to search for targets, or for other wormholes to scout and scan. You used to be able to look up NPC kills in wormholes through the API to get an easy idea of whether or not the residents were active recently, but that changed with the release of Kronos. The targets you seek don’t have to be in the wormhole directly connected to your own; you often find fights one or more wormholes “down the chain” of wormholes, often significant in length, that are connected to one another. 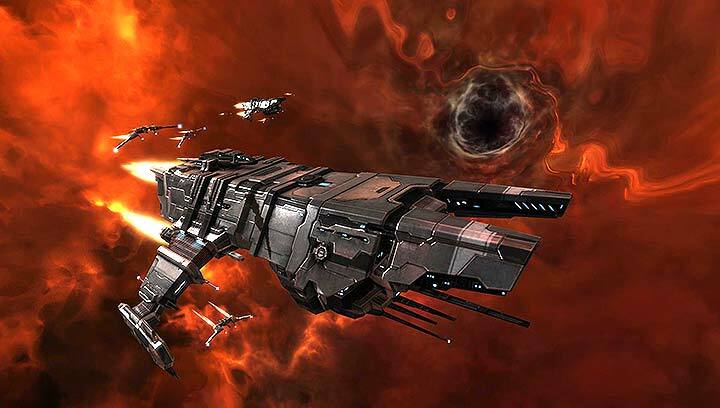 If you enjoy scanning and exploring in EVE (and yes, these people exist) then this is the job for you, and with skill and practice becomes something of an art form. With the discovery scanner overlay showing signatures in space and the ease of updating the signature list in the scanner UI, the players you’re hunting can easily notice a new connection, as long as they are paying attention. It takes some skill to quickly narrow down a possible target so your fleet can try to get tackle on some site-runners, or to provide a good warp-in point for the fleet on a handful of miners in an ore site. Now, that covers the non-consensual PvP in w-space, but what about facing off against an enemy fleet? Oddly enough, outside of full invasions, those types of fights generally happen in one of only a couple ways. The first is when your two fleets catch each other on a wormhole connection for any number of reasons (baiting, caught rolling the hole, etc.) Another way might sound strange to the uninitiated: the fights are essentially arranged. Not arranged in advance, as you can’t do that due to the randomness in w-space. If a K162 opens in your wormhole and you have some people AFK or not logged in (but reachable,) you might contact the group that rolled into you and tell them to wait a second so you can form up a fleet and fight them before they collapse the hole. In other cases, a larger corp might roll into a smaller corp that can’t field the numbers to make a fight worth taking. In those instances, the larger group will sometimes deploy only a portion of their numbers in order to ensure the occurrence of some sort of fight, rather than nothing happening at all. A smaller fight than you were hoping for is better than no fight at all. No matter how your fight comes about, you must keep wormhole effects in mind, as they can drastically alter the effectiveness of certain ships and fits, but that is a topic for another day. Never forget that while living in w-space, pilots can still reach a wide range of systems in k-space as well. Utilizing lowsec and nullsec connections is a great way to find fights for fleets of all sizes (including solo.) The tactics there vary wildly depending on where you go to fight. Faction warfare space tends to be a little iffy in my experience due to the amount of stabbed farmers who just run from you, but that has gotten better lately after recent changes. Nullsec offers the possibility of catching all manner of blingy ratting ships and carriers, but you also run the risk of getting hotdropped in the process. Lastly, residence in w-space doesn’t preclude you from forming up a regular fleet for some good old-fashioned k-space roaming – it just makes getting home afterwards a bit more challenging. As you can see, w-space may not be for everyone. While the fights are often intense and exciting, they generally involves a little more work than simply opening your map and heading toward a nearby system with high activity. Not everyone enjoys scanning and it can be frustrating when you get your fifth empty static connection in a row. However, for those people willing to put in the effort the PvP is enjoyable and usually offers some variety due to your ability to find fights in w-space and in different parts of k-space.